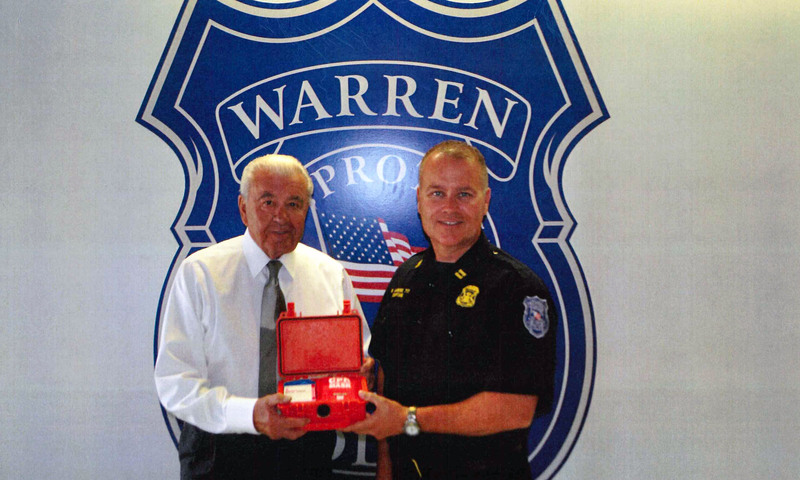 One of the first actions initiated by newly-appointed Police Commissioner Bill Dwyer is to supply Warren police officers with Narcan spray that will counter the effects of opioid overdoses. “Because police officers are more often than not the first to respond to an opioid overdose, we felt it is vital that the timely application of Narcan spray is necessary,” said Police Commissioner Bill Dwyer, whose first day at the job was August 14. Warren Mayor James Fouts, who was the first elected official to alert law enforcement and medical officials about the opioid epidemic last year, praised Police Commissioner Bill Dwyer’s action. “This medication delivery will greatly increase the chance of survival until the Warren Fire Department can arrive and provide advanced medical care,” said Mayor James R. Fouts in a statement.